The Hunter – Gatherer | Sleep Late Tomorrow! 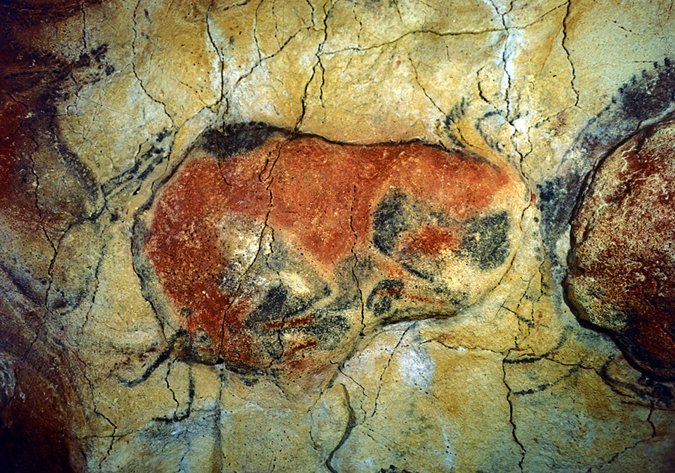 Since the first Paleolithic representation of a Bison in Altamira, to the high-resolution images in National Geographic magazines, capturing events has continued to fascinate our species. Man has always had the impulse to catalogue his experiences and way of life. To this day, 32,000 years after the first cave art was created, having come so far in communication, science, society and religion, the one thing that remains unchanged is the need to define our existence. Spanning all manner of philosophies, from the Bible to the Bhagavat Gita, writing has been a way of recording thoughts and experiences. But more importantly, they impart stories of human will and extraordinary vision. As we evolve, and a fortunate population no longer finds the need to hunt and survive, I find, to my immense surprise, that we are still the natural hunters-gatherers we used to be. Only now, as we move up Maslow’s hierarchy of needs, we hunt for knowledge, and we gather experiences. When we look at artistic movements in particular, as much as traditionalists denounce Surrealism, Pop art, Cubism and Dadaism, what they have in common with the religious theme of the Renaissance, is that, they both lead to the same cornerstone of our societal structure. They are all an attempt to understand our purpose in the universe, whether you turn to religion or look within yourself. As I relive my sauntering through different lands, each memory stirs a new insight, an oblique angle, and a deeper understanding. I find myself reaching out to that progressive gene I inherited from my cave painting ancestor, and feel the desire to enumerate what I experience, see, read and learn, and I find my consciousness constantly raised by the myriad people I meet along the way. My travels have opened my mind to spectacular possibilities-a spectrum of colors & cultures. My sojourn and its gazette is a tribute – To the first brushstroke, the ancient howl of the first musical note, the first bite of the rosy apple, and to the caveman within each of us. Here is an interesting new blog from a talented and interesting friend of mine. Nice first post! I like the way you link cave drawings to blogging. It’s the same thing, really. Thanks Drew! It has been a perspective that I have been developing for a while now. I found great validation in the book “Godel, Escher and Bach” regarding the same. Hope you like the following ones as well!